The original is framed and available for $275, contact Ann with inquiries. See various stages of this drawing and the reference photo in Ann’s Facebook album, starting with this image. 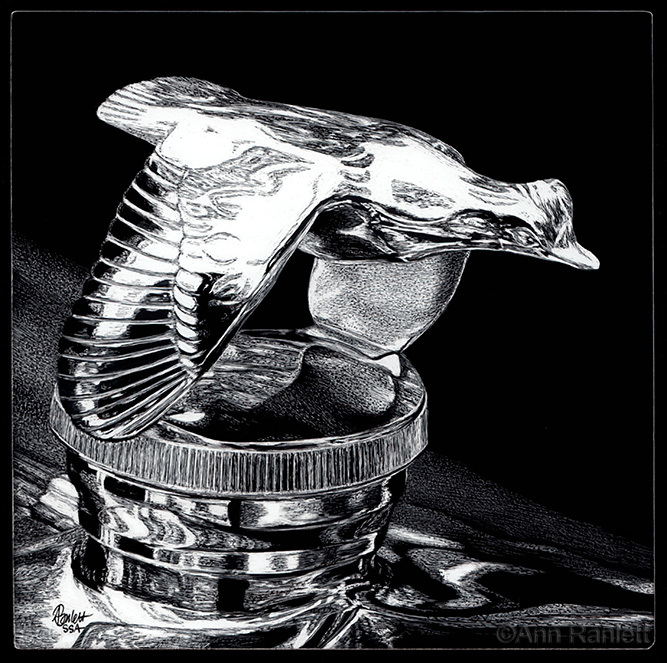 “Chrome in Flight” was accepted in the 2016 International Society of Scratchboard Artists‘ annual juried exhibition, and the the 2015 Women Artists of the West juried exhibition.